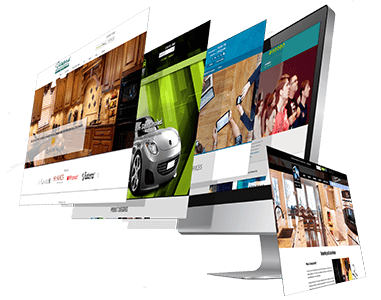 Handling a website requires responsibility and expert knowledge to keep it running smoothly and accordingly. Analytics, statistics and samples are involved if you want your website’s performance to be top notch. It is just like a computer OS. Website security will require certain plugins, extensions and other updates to either add new features or protect your website and keeping it secure from any threats. There are a great amount of tools and services that have come up to surface along the years, it is absolutely important to keep your website security up to date as soon as any plugin or update is available. There are so many hackers perfecting methods, although many hackers these days are automated. Also the amount of bots scanning sites looking for opportunities is quite scary. So it is best to keep your website secure. These days anything on the internet is vulnerable because a lot of information like payment systems, customer data such as: name, address, phone numbers, bank account numbers, among other things could end up redirected to another website or someone else allowing malware to install on your computer or stealing important content from your website. When website security functionality is broken, updates can be a problem. Testing, backups, updates, plugins, extensions are all important part of being responsible while maintaining a website and keeping it secure. Sometimes reinforcing passwords is not enough. Everyday there are new security threats that could affect your website greatly and also your browsers, keeping browsers up to date is also important because from time to time there are web standards that are removed or maybe even changed and if your website or browser is not secure against these changes than it is possible that certain programs or internet coding will not function the same way or maybe they will not function at all. Purchasing original plugins, extensions or web security programs will not only keep you up to date but the main feature is to be able to access premium benefits offered by developers if you have a license which is obtained through buying plugins, extensions and programs that are original. Downloading free versions do not secure your website or computer completely, are only small extensions that will add a link that will scan and check for small corrupt files that might not be up to date because the version is old or not compatible with your computer. There many ways, countless ways that hackers can access your information or any other resources with other intentions that are not necessarily innocent. Keep in mind that hackers use automated tools that perfectly scan the internet looking for any program that is vulnerable or has low security or software, as soon as these hackers have a complete list of the unprotected programs or software, they infect them all with tools designed to attack these program scripts. By keeping your software updated is the main principle of website security, there are many website owners that think updates are just small functional enhancements but remember that updates also include important patches so if your updates are delayed for any reason there is a wide possibility that you are leaving the door wide open for any hacker to access your content and important data.